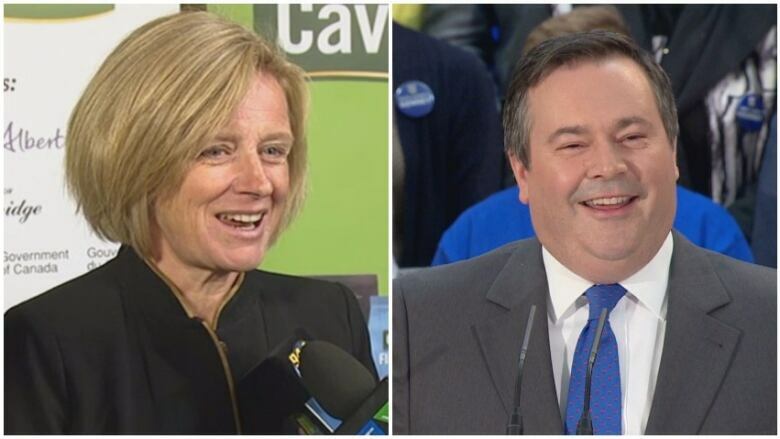 A new Insights West online poll says if an election was held in Alberta tomorrow, the United Conservative Party would have the support of 47 per cent of decided voters. But while the Jason Kenney-led UCP dominates with voters in the 35-plus age category, Rachel Notley's NDP dominated among voters between ages 18 and 34. Overall support for the NDP sat at 33 per cent of decided voters, but the figured jumped to 46 per cent among younger respondents. Political scientist Lori Williams says she isn't surprised the NDP enjoy the support of voters in that age group. She says when it comes to politics in Alberta, millennial voters tend to sit in the middle. "The UCP is associated with being to the right, and particularly on social issues, too far right for millennials," she said. Not surprising, Mount Royal University students were somewhat split. Policy studies student Raj Luckhan said he agrees the NDP can be more appealing to younger voters. "They appeal to what 18 and 34 [year-old] people generally go after, things like tuition," he said. "Typically, the UCP, they look at much older people and ideals most younger people don't typically agree with, in my opinion." Sport and recreation management student Joel Hartzell says he doesn't fit the centrist mould. "I've just always been a conservative and seeing how Rachel Notley has changed some things, it's definitely affected a lot of people, even myself, with wages and stuff, I've seen the effects so that's made me lean toward the UCP party." Williams says the next election could come down to whether millennials show up at the polls, and if they do, it could cause problems for the UCP plan to unseat the ruling NDP. The online poll of 701 people was conducted between Nov. 21 and 24 and a probability sample of this size would yield a margin of error of plus or minus 3.7 percentage points.